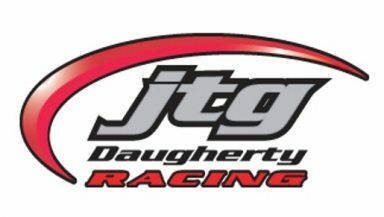 HARRISBURG, N.C. (September 28, 2018) – JTG Daugherty Racing announced today a new driver to their two-car lineup, signing 27-year-old Ryan Preece in a multi-year contract. Preece will join JTG Daugherty Racing for his first full-time Monster Energy NASCAR Cup Series season starting in the 2019 DAYTONA 500 at Daytona International Speedway driving the No. 47 Chevrolet Camaro ZL1. Preece joins JTG Daugherty Racing from a recent stint with Joe Gibbs Racing in the NASCAR XFINITY Series, where to date he ran nine races with one win, four top five finishes and six top-10 finishes in 2018. Out of a total of 49 NXS races, he has two wins (Iowa Speedway, 2017 and Bristol Motor Speedway, 2018), eight top-five finishes, 11 top-10 finishes and one pole award. Preece also ran five Monster Energy NASCAR Cup Series in 2015 in the No. 98 car for Mike Curb. Aside from his accomplishments in one of NASCAR’s premier series, the Berlin, Connecticut native is most well known in the Northeast, racing in the NASCAR Whelen Modified Tour since 2007. In 155 NASCAR Whelen Modified Tour starts, he has 22 wins, 76 top-five finishes and 102 top-10 finishes, winning the championship in 2013. Preece was also named to NASCAR’s elite “NASCAR NEXT” Class in 2013 and 2014. Preece is set to finish out the season with Joe Gibbs Racing in the NASCAR XFINITY Series in 2018, becoming a permanent fixture of JTG Daugherty Racing in 2019. He will start the season with the 2019 DAYTONA 500 on February 17, 2019.